Music Together West Twin Cities, LLC - Music Together West Twin Cities! Join us for Tambourine Collection! Spring Classes begin April 7th! * Sunday Classes begin March 31st! Join us for Spring Tambourine Collection! We offer music and movement classes for children 0-grade two and the grown-ups who love them. Each child participates at his or her own level in singing, moving, chanting, listening, watching, or exploring musical instruments. Any caregivers—parents, grandparents, nanny—can bring the children. The whole family is welcome for this important family music experience. Music Together® West Twin Cities offers Music Together classes in ten convenient West Metro locations in the Twin Cities, offering a wide variety of class days and times. Spring 2019 welcomes the Tambourine Collection! Hello Everybody App Wins Award! 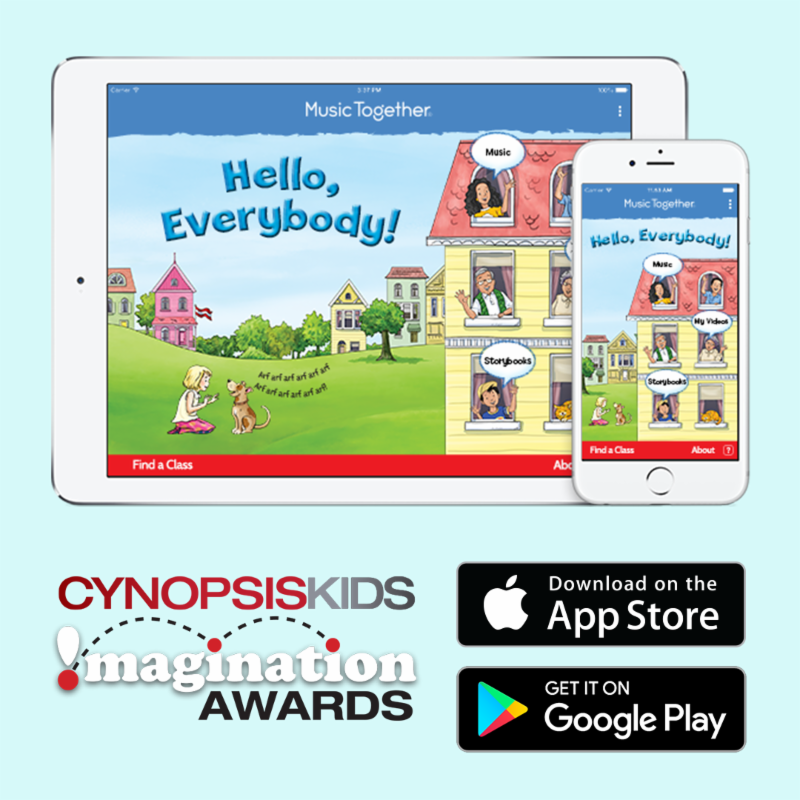 The Hello Everybody app won the Mobile App-Preschool category at the 6th Annual Cynopsis Kids !magination Awards, announced in NYC on September 19. The category included apps from seven other kids' media companies---Nickelodeon, Sprout, and Jim Henson among them. Each year, Cynopsis Media honors the best in children's, tween, and family programing through this awards program. Check out all of the nominees and winners on Cynopsis Media. It's an impressive list.